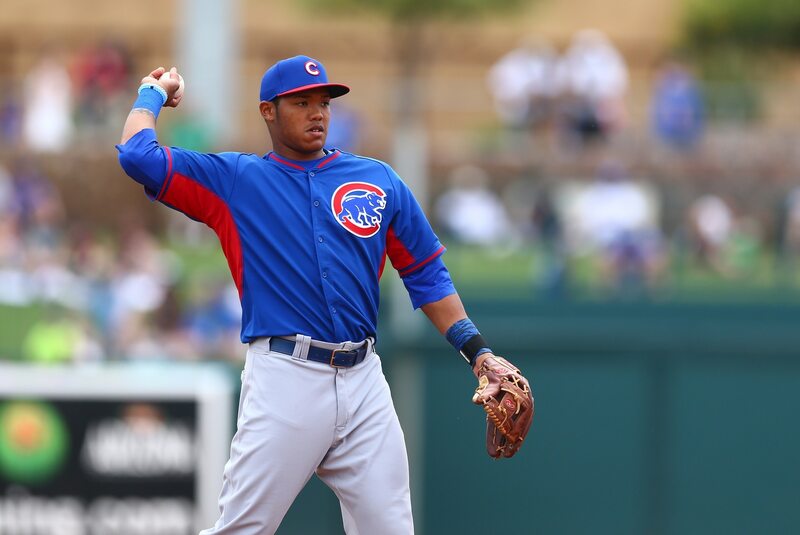 The Chicago Cubs are calling up prized prospect Addison Russell. Chicago Cubs shortstop Addison Russell finished the 2018 season under suspension in the wake of domestic violence accusations from his ex-wife. But his agent, Scott Boras, expects that Russell will rejoin the team when his suspension ends in early 2019. Boras said he's been in communication with Cubs, and that they're directly involved with Russell as he's undergoing therapy. On the field, Russell hit .250/.317/.340 in 2018. He’s a career .242/.313/.392 hitter and was the starting shortstop on Chicago’s World Series winning team in 2016. But obviously, the nature of this alleged incident takes precedence over anything that happens on the field. For his part, Russell has denied the allegations of his ex-wife. But that certainly won’t do anything to make his return to the field any less controversial, regardless of where he’s playing.